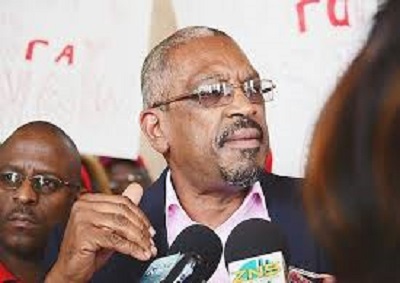 Minnis, who is attending his first CARICOM summit after leading his Free National Movement to victory in that Caribbean country, said the idea also is to “have funding available for a sustained marketing and increasing our product. “We have about 30 million visitors among the Caribbean territories and we feel we could double, if not triple that and that should be the goal moving forward,” he told reporters. Minnis, who holds special responsibility for tourism within the quasi-CARICOM cabinet, is most likely to chair that committee, said St. Lucia for instance, has expressed in being a member of the committee as well as the Caribbean Tourism Organisation (CTO) and the Caribbean Hotel and Tourism Association (CHTA). “I am very very confident that we will grow our tourism product. We agreed that tourism should not be looked in isolation. We are one CARICOM body and we are a family and therefore we cannot try to outdo the other. “We will remain as a family and we will grow as a family and we will create opportunities for each and every member of the family,” Minnis added. The Barbados-based CTO, earlier this year said that the region had set new arrival and spend records in 2015. According to CTO figures, international tourist trips to the region grew by seven per cent to 28.7 million visits, exceeding the projected four to five per cent growth. Visitors spent an estimated US$30 billion, a 4.2 per cent rise over the US$28.8 billion spent in 2014. “2015 was the second year in a row that the region has done better than the rest of the world, and the sixth consecutive year of growth for the Caribbean,” said CTO’s secretary general Hugh Riley, attributing the growth to improved global economic conditions in the marketplace; a boost in consumer confidence, particularly in the United States; falling oil prices; rising seat capacity and persistent marketing by CTO member countries and their partners. In February this year, the CHTA issued a statement indicating that Caribbean tourism fared well in 2016 and industry stakeholders were generally upbeat about the year ahead, despite the fact that many hoteliers were forced to adjust their high performance expectations for 2016 as the year progressed, due to unforeseen events. Announcing the results of the second annual CHTA Industry Performance and Outlook Study, Frank Comito, director general and CEO of the private sector association, stated that “more than four out of five (81 per cent) hoteliers have an encouraging outlook for tourism in 2017″. In 2016, hoteliers reported an even split on revenue performance, with 47 per cent recording an increase and a similar percentage reporting a decrease. While expectations for the year were higher initially, last year’s mixed performance came after an exceptional year for Caribbean tourism in 2015.